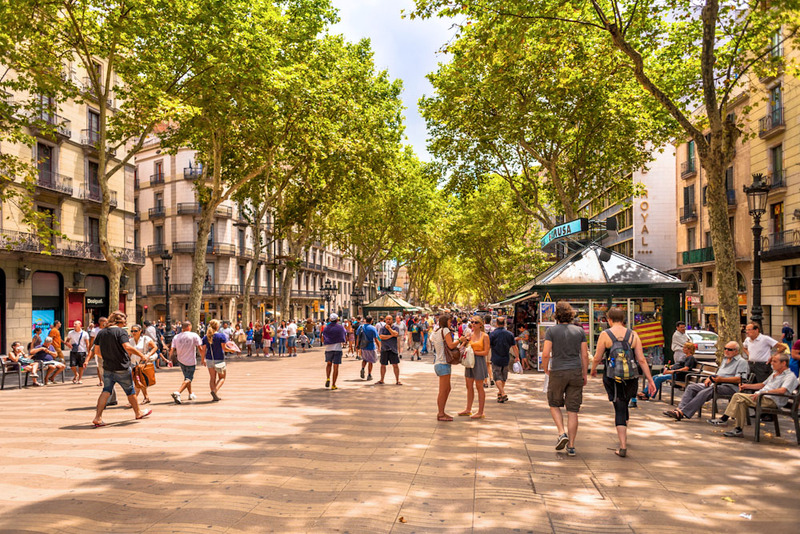 In Barcelona, La Ramba is a central meeting spot for both tourists and locals. 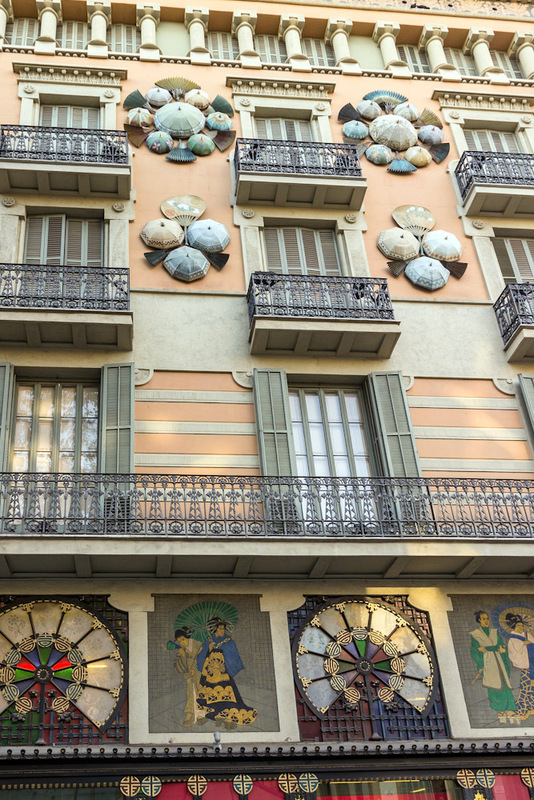 The architecture of Casa Bruno Cuadros in Barcelona is a great example of the Modernisme movement. 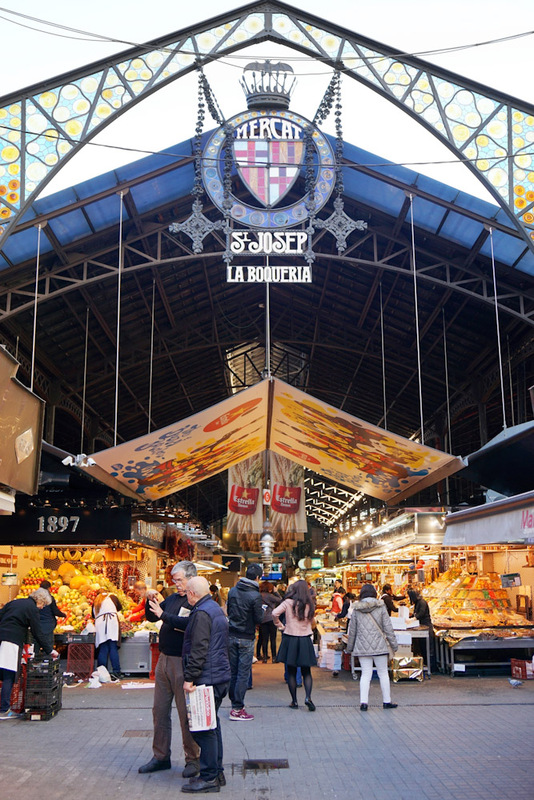 Head to La Boqueria in Barcelona for a wide selection of specialty foods and local produce. Hans Christian Anderson once described Barcelona as the ‘Paris of Spain’, but it has a personality all of its own, as a simple stroll down La Rambla shows. Megan Arkinstall rounds up 6 of the most notable spots to visit when strolling down the city’s main street. Built in the 1770s as the residence of the Viceroy of Peru, La Virreina now shows contemporary art exhibitions. Opened in 1840, the city’s oldest food market boasts local produce and tasty specialities. Restored by Josep Vilaseca, this 1858 building is a great example of the Modernisme movement, highly decorative with Oriental motifs. Built in 1847, Barcelona’s grand opera theatre was reconstructed after a fire sadly destroyed it in 1994. Book tickets for a show or take a guided tour. Just off La Rambla, this 19th-century square, with its pretty fountain, palm trees and Gaudí lamps, is renowned for its buzzy nightlife. Standing at the end of La Rambla, this 60-metre-high monument was built in 1888 for the Universal Exhibition as a tribute to Christopher Columbus. Visitors can head to the top viewing platform for views of the city.